In a large pot bring salted water to a boil. 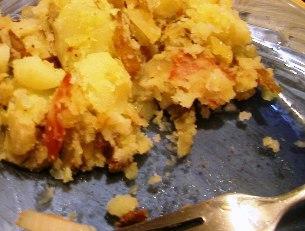 Add potatoes and cook about 5-8 minutes or until just soft. Drain and cool. Meanwhile, fry bacon in a large pan. Add onions and saute 3-5 minutes or until translucent. Add potatoes and freshly ground pepper and continue to cook for about 10 minutes, stirring occasionally, until well combined and potatoes are hot. Salt and pepper to taste. Sprinkle chicken breasts with salt, pepper and oregano. Rub in spices. In a ziploc bag add 1/4 cup olive oil, balsamic vinegar and chicken breasts. Set aside. In a large pan, use remaining olive oil and butter to saute onions and garlic just until the garlic is fragrant, about 5-10 minutes. Add both cans of tomatoes, simmer for until sauce thickens, about 20-25 minutes. Add salt and pepper to taste. 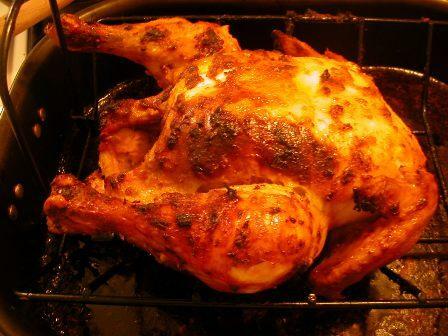 Meanwhile, grill chicken in a grill pan or saute until cooked though. Finely dice chicken and set aside to cool. While chicken is cooling, place spinach in a microwave safe bowl. Microwave for 1 minute until wilted. Remove excess moisture by squeezing it between paper towels. In a large bowl, combine the ricotta, 1/2 cup mozzarella, 1/2 cup Parmesan, nutmeg, spinach, chicken and egg. Mix thoroughly. In a greased lasagna pan, spread a thin layer of sauce on the bottom. Fill shells with 1 tablespoon of the cheese/chicken mixture. Place filled shells in a single layer on the sauce. Shells can be placed very close together. Cover with remaining sauce and sprinkle with remaining cheese. Cover in foil and bake in a preheated 350 oven for 1/2 hour, then remove cover and bake an additional 15 minutes or until the cheese melts and the dish looks bubbly and hot. Since my husband and I are the only members of our household, cookie recipes that yield dozens of cookies are a little impractical. Unfortunately, they are often hard to cut down. I have come up with this solution. We both love freshly baked cookies and baked cookies (even in Tupperware) have a fairly short shelf life. Instead of baking all of the cookies in a recipe at once we just make as many cookies as we want at one time then store the remaining dough in the refrigerator until the cookie mood strikes again. Depending on the type of cookie, the dough can keep for weeks. You can put them right in the oven cold from the refrigerator, adjusting the cooking time to a minute or so longer than the original recipe called for. Preheat oven to 375. In a food processor, blend together all ingredients EXCEPT the chicken and cinnamon sticks. Mixture should form a thick paste. Rinse chicken under cool water and pat dry. Place on roasting rack in pan. Rub paste in and under the chicken skin and inside the cavity. Place one cinnamon stick in the cavity, the other two under the skin. 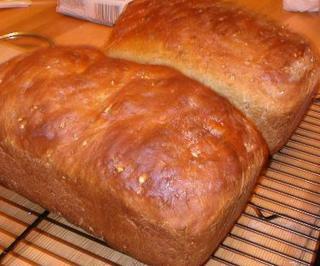 Bake for 1 hour then (carefully!) flip the chicken over on the rack. Return to the oven for approximately 1 additional hour or until juices run clear and leg moves freely when wiggled. In a medium pot cook the oats in the boiling water until thickened, about 3 minutes. Pour into a large mixing bowl and allow to cool slightly. Meanwhile, in a small bowl or measuring cup combine yeast, sugar and warm water until dissolved and allow to proof. Add the milk, salt, brown sugar and the yeast mixture to the oatmeal. Stir well. Add four cups of flour, one at a time, stirring between each new addition. Turn out on a floured board or table. Knead for about 10 minutes or until it becomes a smooth, elastic dough, adding more flour if necessary. Shape into a ball and place into a buttered dish or bowl. Cover and let rise until it has doubled in bulk, about 1 1/2 hours. Punch dough down. Knead for 2-3 minutes. 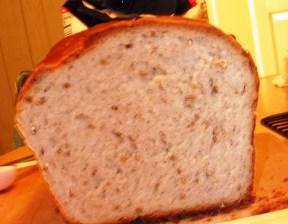 Shape into 2 loaves and place into buttered loaf pans. Cover and let rise until doubled in bulk and about even with the top of the pans. Preheat oven to 375. Bake for 45-50 minutes or until it makes a hollow sound when tapped. Remove to a rack to cool. 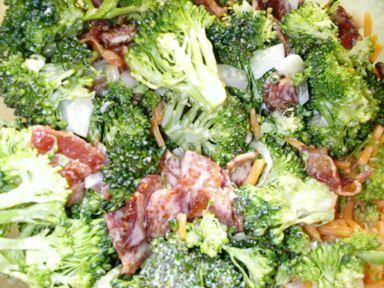 In a large bowl, combine the broccoli, cheese, bacon and onion. In a small bowl, whisk together mayonnaise, vinegar and sugar until combined. Pour over broccoli mixture and toss to coat. If you used a bowl with a tight fitting lid, you could also mix the salad together by putting the lid on and shaking the bowl like maracas and dancing around the kitchen. 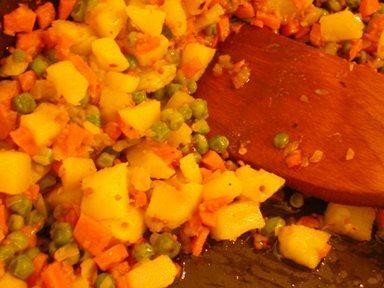 Cover and refrigerate at least 1 hour before serving.